This helix piercing a lovely bouquet with numerous ingredients. A subtle round crystal and a slightly bigger crystal shaped as a butterfly. Remarkable enough the small crystal emits stronger sparkles than the butterfly crystal. But it isn't necessarily the shininess that defines this tragus. Also the light pink rose and pearl manage to stand out. Al those elements combined create a full look. This without the tragus growing out of proportion. 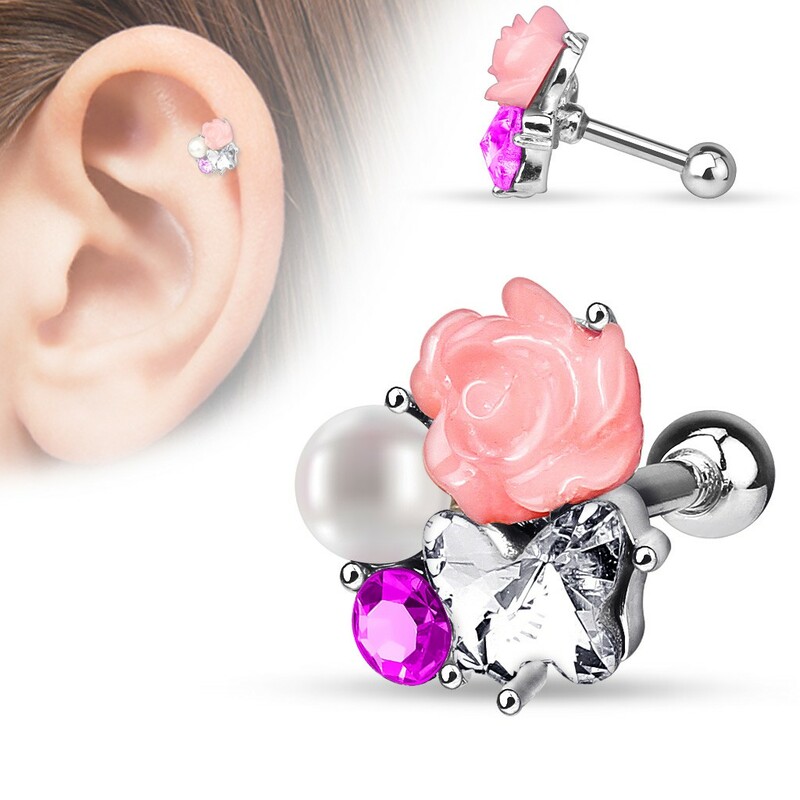 With a size of 0.8 by 1 cm this tragus is suited for loads of places on the ear.